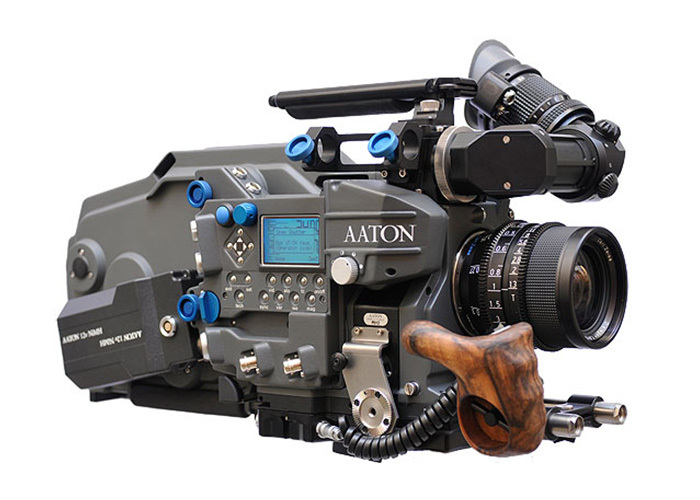 The newest 35mm motion picture camera in the industry is the Aaton Penelope. It’s the first camera in the world designed from the ground up as a switchable 2-perf or 3-perf shooting solution. 2Perf-native camera, swappable to 3-Perf and back. 22dB noise level (±1dB) in 2-Perf. 23dB noise level (±1dB) in 3-Perf. Weight: 8 Kg with loaded 400′ mag and 1 battery. Instant film-magazines, nine minute autonomy at 24fps in 35mm 2-Perf. Twin battery power supply: one for lightweight handheld shots; add the other for multi-accessory use. Ready to print PDF ‘Image Report’ with JPEG snapshots, metadata and AatonCode via USB key. Thanks to film manufacturers’ ongoing efforts in emulsion enhancement, 35mm film remains the medium of choice for superior quality origination and High Definition imaging. The Aaton 35-III, with its absolute image stability and hair-free gate, insures perfectly clean archivable images that will remain with us for generations. Weight 7kg (16 lbs) with 400ft load and on-board battery. Power Brushless, high efficiency tri-phase motor; 1.4 amp. consumption with filmat 25°C (77°F) under 12V power supply (10-15V). Frame Rate Sync speeds: 24, 25, 29.97, 30 fps. Built-in var crystal control to 2 to 40 fps in 0.001 increments. Steadiness Co-planar claw movement for lateral and vertical steadiness to 1/2000th of image dimension. Viewing System Interchangeable screens: 1.37, 1.66, 1.78, 1.85 aspect ratios. Camera Mounts Interchangeable hard front: ArriPL. Shutter Reflex mirror, user-convertible on option; 180° for 24 fps under 60 Hz lighting, 172.8° for 24 fps under 50 Hz, 150° for 25 fps under 60 Hz, 144° for NTSC monitor. 35 / Super 35 Quick centering of lens axis for either format. Time Recording AatonCode man-readable figures and rugged SMPTE matrixes. 1/2 frame accuracy over 8 hours. Accessory Inputs Amph9 (video sync), Lemo6 (power zoom), Lemo8 (speed controllers de vitesse), Lemo5 (SMPTE and RS232). Video Assist Black & White – low power, high sensitivity, manual iris. PAL or NTSC. 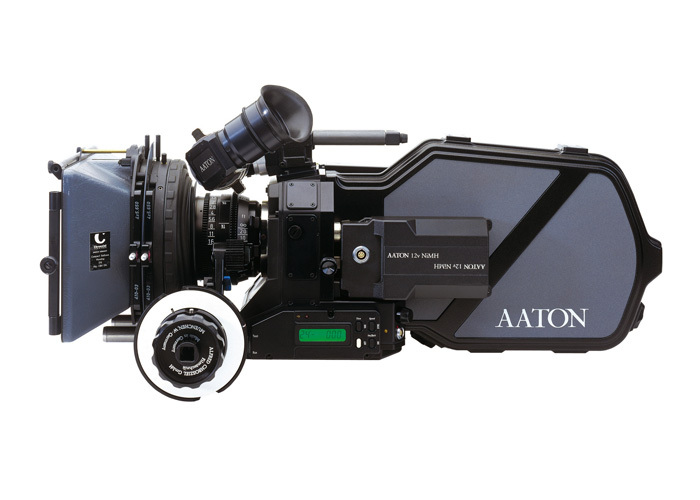 Color – high sensitivity, flicker-free, with frame, timecode windows and Vitc insertion. PAL or NTSC formats. Magazine Instant, 400ft, reading in feet or meters. LCD Display Speed selection, remaining footage, ISO selection, battery voltage, full AatonCode readout via a single rotating jog. Operator Warning Speed discrepancy, misloading, low battery indicator. Camera Shut-off Automatic at end of roll. The smallest and lightest modern sync sound camera. The ARRICAM Camera System is the ultimate sync sound camera system available. The ARRICAM Lite is particularly useful when low weight, small camera size and operating freedom are required while shooting sync sound – i.e. remote, Steadicam or shoulder operation. Caméra Légère Autosilencieuse : 24 dB. Vitesses variables : de 1 à 40 i/s avant – de 1 à 32 i/s arrière. Obturateur électroniquement de 0 à 180°. Compatible avec le système LDS. Possibilité de tourner en 2 ou 3 ou 4 perfos. 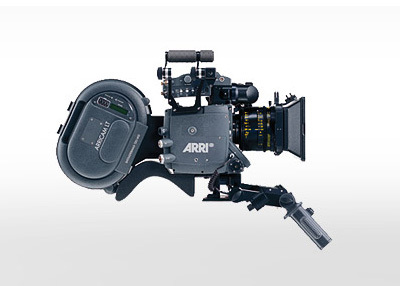 The Arriflex 435 family is the golden standard for 35 mm MOS camera work to be found on sets all over the world. Combining robust construction with a super steady movement, high speed, forward and reverse run, the Arriflex 435 ES is ideal for feature films, commercials, music videos and Steadicam applications. Vitesse quartz 24 – 25 i/s. Vitesse variable : 1 à 150 i/s avant & arrière (précision 0.001 i/s). Obturateur électronique réglable de 11.3° à 180°. Visée vidéo 100% pour Steadicam. Transpacam a constitué un parc de matériels de tournage (caméras, optiques et accessoires) ayant suivi les évolutions technologiques et répondant aux différentes configurations demandées par ses clients. © 2018 / 2022 - B Live Group - Location de matériel professionnel de tournage. 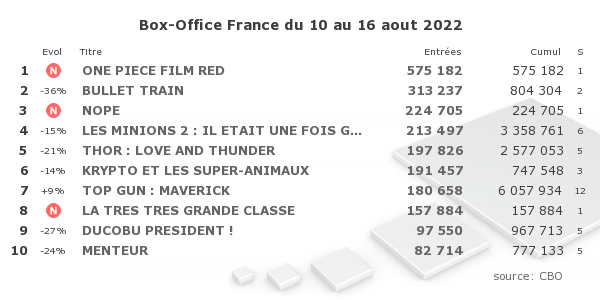 Caméras, optiques et accessoires pour le cinéma, la télévision et la publicité.